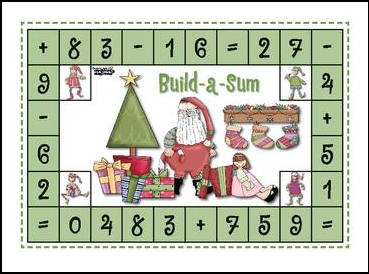 This simple, fun Christmas-themed board game is an excellent Math Center activity. Players move around the game board collecting number cards and operation cards (+, - and =). The first player to be able to make a true sum wins the game. Excellent for practicing bonds and number facts!